The dermatologists at Hill Clinic are the first aesthetic specialists in Bulgaria to work with the unique biofiller intended for people looking for high quality, safety and organic composition of the products. What is Algeness and why is it unique? It is a unique biofiller based on a purified agarose gel (polysaccharide). For the first time in aesthetic medicine history, the molecular and biophysical properties of the agarose make it possible to produce a 100% natural, biocompatible and degradable injection implant. The patients demanding for organic origin already have their natural choice – a chemical-free, solvent-free filer that is maximum tolerant to the body. How and where is the biofiller placed? It is administered subdermally by special microinjection technique combined with a massage and it achieves excellent correction of nasolabial and marionette lines, cheekbones and chin. The results are controlled volume, fine sculpting and contouring ovals in a desired shape. The biophysical structure of the product provides immediate effect and maximum filling of wrinkles or skin depressions, unlike hydrophilic fillers that rely on water attraction and their effect increases over the time. With Algeness, you can see the correction immediately and it lasts for about 12 months. 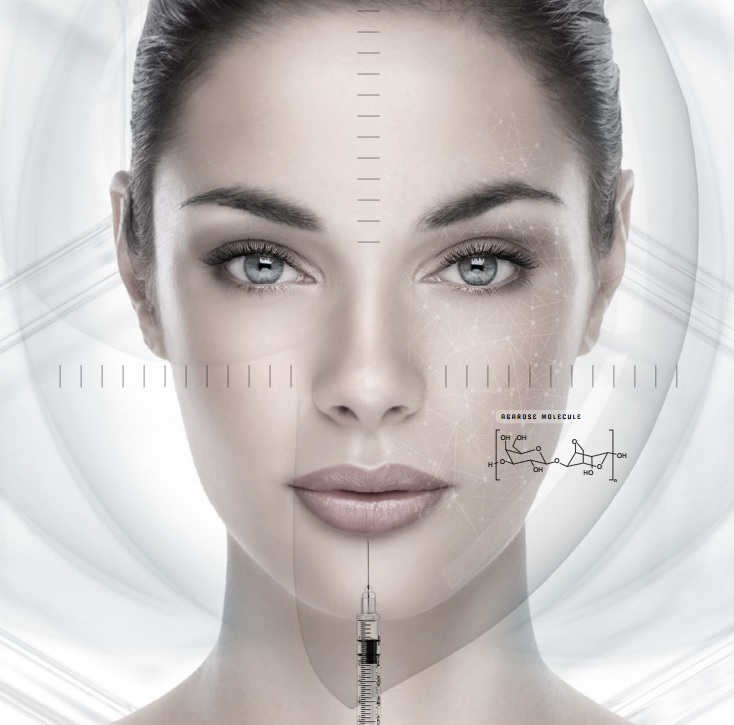 Why is the bio implant considered a breakthrough in the modern aesthetic medicine? Result of a decade of research and clinical trials, Algeness enters the market just when the demand for natural implants that are introduced into the skin with minimal trauma is in its peak. The product is entirely of natural origin, contains no protein fractions, does not migrate, irritates and does not cause inflammation and has a high degree of biocompatibility with the human body. It is available in several variants with different % agarose and is designed for various depth adjustments in the forehead, cheekbones, nasolabial area, chin and lower jaw. Excellent effect is achieved by carefully filling atrophic scars and traces of acne. It is also suitable for intervention in more specific cases like in patients with asymmetry and drastic fat loss when the physician must skillfully compensate for abnormal anatomical changes without creating over-correction. Consultations with aesthetic dermatologist are free of charge. Consultations are by appointment only and can be arranged at the reception desks or by telephone +359 2 439 3131.